As soon as many people come into money, one of the first things they think about doing is purchasing an expensive car. If someone decides they want to buy a Ferrari, they are often met with a dilemma; owning one typically isn’t as simple as just having the money for it. If you already drive a Ferrari, you already know how exclusive it is to own the best-known supercar in the world. The Italian sports car manufacturer takes that exclusivity very seriously. It’s well documented how many would be owners have been turned down even though they had the money to buy one. Even trying to purchase a new standard model can pose problems, especially if you’ve never owned one before. Purchasing a pre-owned Ferrari is easier, but carries with it less prestige. Unless the person trying to purchase a Ferrari is a well-known celebrity, the chances of buying a new limited edition model are slim. Even if you have a history of collecting Ferraris, you might still be denied purchasing a new limited edition. That’s exactly what happened to millionaire entrepreneur and former championship race car driver Preston Henn back in 2016 when he tried to buy a Ferrari Spider. Henn has collected Ferrari for decades, saying that he has owned 18 of them, and is in his 80’s. His request to purchase the rare supercar was denied, saying he was “not qualified”, even though he had sent a $1 million down payment directly to Sergio Marchionne. Henn later tried to sue the Italian super car manufacturer for $75,000 worth of damages, claiming that the denial was damaging to his reputation. He and his legal team later withdrew the lawsuit. Ferrari declined to comment as to why Henn was denied the special edition car, as they will continue to do. There is very little public knowledge on how to buy a Ferrari and as to how Ferrari goes about deciding who gets to own one of their exclusive special edition super machines, which notoriously frustrates many would-be owners. Many people look at the selection process as a game of politics, or as a case of ‘who you know’. The notion of denying such a high demand for their products would fly in the face of a traditional business model, but it just adds to the hype surrounding each and every new supercar that Ferrari releases. 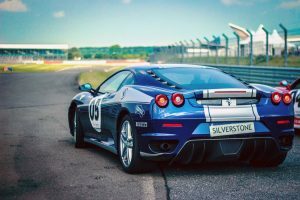 If you’re one of the lucky few to own one of these world-class Italian supercars, you need a luxury car repair shop that knows what they’re doing when it comes to proper care and maintenance of one. With over twenty years experience, we are meticulous when it comes to keeping your status symbol in top shape. We always provide discreet service to all of our clients. We have had the pleasure of working with some of the most interesting people of Los Angeles. Give us a call today to schedule an appointment or if you have any questions.